Send /start to a telegram room to recieve a chat ID. 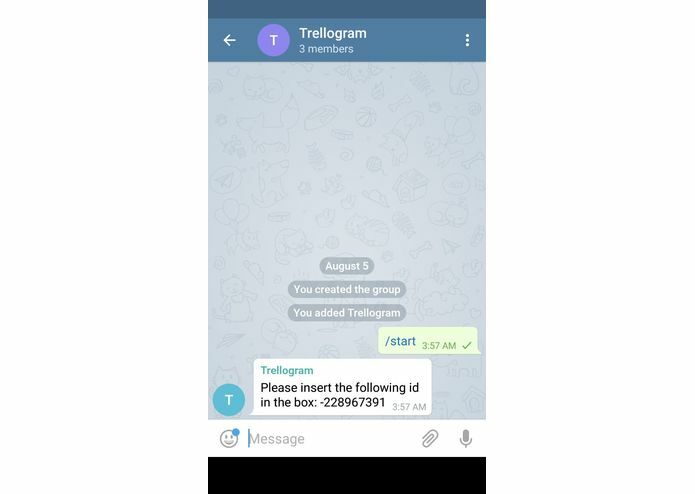 Add an additional message to Card to send it to Telegram group. 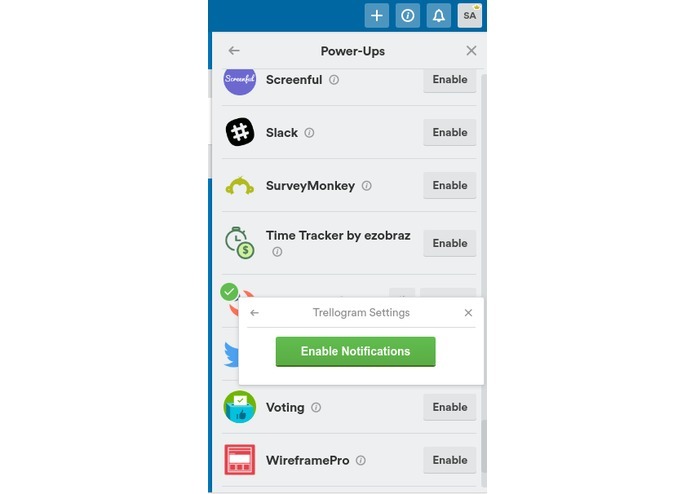 Enable Notification to receive all group activity to your telegram group. 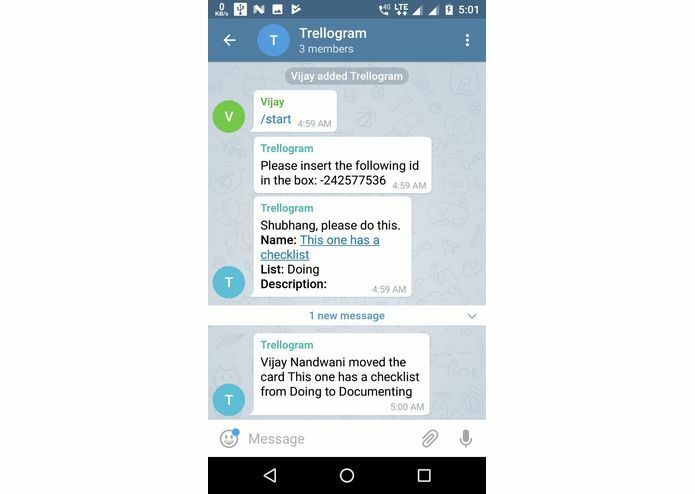 Get all your cards and board activity in your Telegram group. We started thinking with the aim of building something which would help developers. 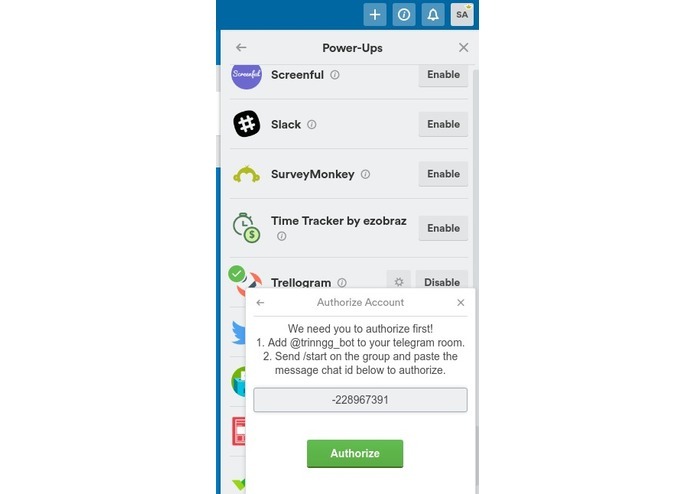 We realised that there is a power-up available for Slack but not for one of the most popular communication platform, Telegram. We decided to build this power-up which simplifies the process of sharing cards and board updates in your Telegram room! 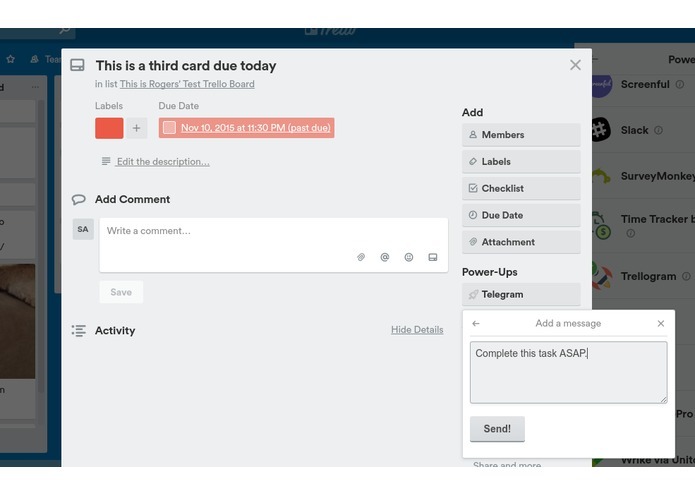 Send any card from the board to your room in just single click! Enable notifications and get all the updates to your room directly. We started learning and reading on how to build power-ups. Once we got some idea, we started building project on Glitch. The entire process of building the power-up was surprisingly very simple because of Glitch and trello apis. The server is built using node.js. We faced few issues with authorisation for trello APIS. When we tried storing the token on the callback URL, it saved the token on the server's domain which was inaccessible from trello. We have a working power-up which developers can start using right away. Sending cards to individual members and customising the notifications menu are the two tasks on our minds.